This is full recording of the Small Business Accelerator event, Smart Business, Small Business held October 17, 2011 at UBC Robson Square. The lecture features two compelling figures: Paul Cubbon, Marketing Instructor at the University of British Columbia’s Sauder School of Business; and George Moen, a University of British Columbia alumnus, serial entrepreneur and President of Blenz The Canadian Coffee Company. Speakers offer insights around the notion that entrepreneur success is often bred from failure. Learn more about Paul Cubbon on his blog: http://blogs.ubc.ca/paulcubbon/ and George Moen on his blog: http://www.georgemoen.com/. 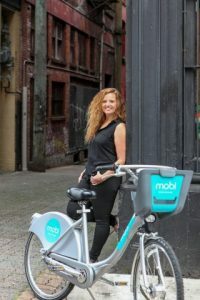 The series was a celebratory event marking the Small Business Accelerators first year of service and was also held in conjunction with Small Business Week, organized by the Business Development Bank of Canada. 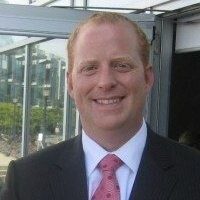 Paul Cubbon is a Marketing Instructor in the Sauder School of Business at the University of British Columbia. Cubbon’s interests are in marketing communication, customer behaviour, innovation and competition, social media, and how these combine to influence management practice in changing organizations to be truly customer serving. Learn more about George Moen on his blog: http://www.georgemoen.com/. Benjamin Cohen is Louis G. Lancaster Professor of International Political Economy at the University of California, Santa Barbara, where he has been a member of the Political Science Department since 1991. 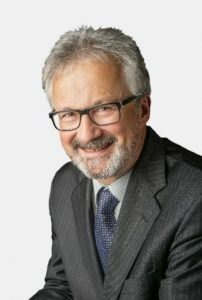 Established in May 1998, the Institute for European Studies (IES) is part of the University of British Columbia’s ongoing mission to advance international knowledge and research about Europe. This talk is the keynote speech at the Institute for European Studies (IES)’s the “Global Currency Competition & Exchange Rate Arrangements: Present & Future” international conference at UBC in June 2010. Benjamin Cohen is a member of the faculty of the University of California, Santa Barbara since 1991, where he teaches undergraduate and graduate courses on international political economy. His research interests mainly involve issues of international monetary and financial relations, and he has written about matters ranging from exchange rates and monetary integration to financial markets and international debt. Cohen’s latest book, The Future of Global Currency: The Euro Versus the Dollar, was published in 2011 by Routledge Publishers. Last updated June 18, 2013. Liz Heron, Social Media Editor at The New York Times, Alfred Hermida, Associate Professor, UBC Graduate School of Journalism, Karen Pinchin, founding editor of OpenFile Vancouver, and Steve Pratt, Director of CBC Radio 3 and CBC Radio Digital Programming present a lively panel discussion. This is the first in a series of three free panel discussions of the Social Media, Journalism, and Politics Special Lecture Series at UBC Robson Square, hosted by UBC Continuing Studies’ Lifelong Learning Series in partnership with the UBC Graduate School of Journalism. Liz Heron is an online content strategist and frequent public speaker with a passion for digital journalism. Her specialties include, among others, social media strategy, mobile journalism, multimedia, community engagement, and multi-platform journalism. Alfred Hermida is an award-winning online news pioneer, digital media scholar and journalism educator. 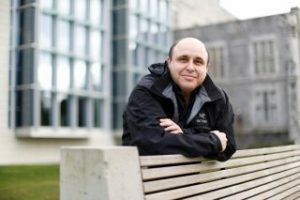 An associate professor at the Graduate School of Journalism of the University of British Columbia in Vancouver, Canada, his research and teaching focuses on investigating the convergence of media technologies, industries, content and audiences, through scholarly papers, applied projects and media activities designed to bridge theory and practice. Karen Pinchin is a reporter, editor and social media consultant, as well as a professionally trained chef. She writes for magazines and newspapers, provides communications consulting, and makes stock in her sleep. For her, the future involves cooking, writing and community building, both in-person and online. 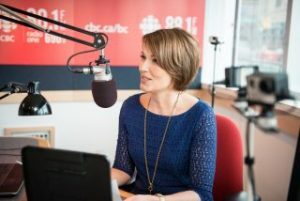 Steve Pratt is the Director of Digital Music for CBC, including the new home of music at Canada’s public broadcaster. He is also an Adjunct Professor in the Masters of Journalism program at UBC. Prior to CBC, he has worked with MuchMusic, Citytv, CTV, YTV, and AOL Canada.